Stitch markers, tapestry needle, stitch holders or WY, 2 size 0.75″ buttons, 2.5 (2.5) (3) (3) (3.5)” of snap tape or 4 snaps or gripper snaps and twill tape, size 16 sewing needle. 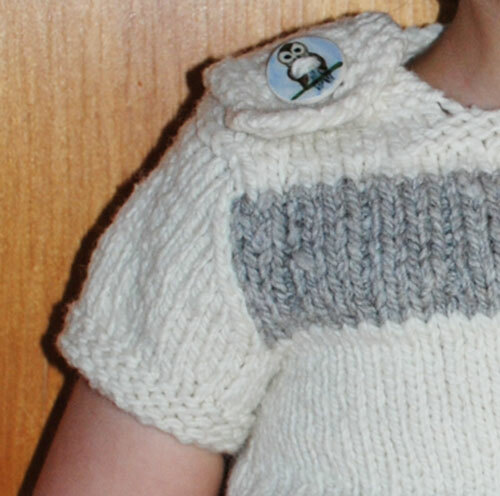 A few special details make this everyday baby garment something special. 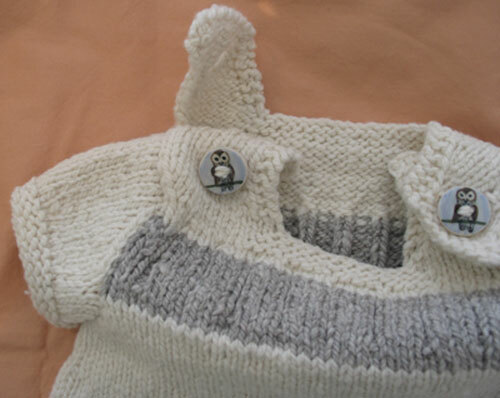 Pair cute buttons with baby-soft Mountain Merino and you have something just perfect for any baby. Follow the instructions to work this top down Onesie and you will quickly conquer shoulder extensions and buttonholes and sail through the body to simple shaping for the bottom and legs. Cute!